Genaro has enjoyed a dynamic music career in the US and abroad. Highlights include solo recitals at the Endless Mountains Music Festival in Wellsboro, Pennsylvania, Solo recitals and Chamber music concerts at Interharmony Music Festival in the Berkshires, Massachusetts. Soloist with the Interharmony Music Festival Symphony orchestra in the Netherlands and Germany. Genaro has performed with several music organizations such as the Lancaster Symphony, the Philadelphia pops orchestra, the Virtuosi chamber music orchestra to name a few. Alongside his work as principal second violinist of the Bay Atlantic Symphony orchestra, he serves as concertmaster of the Altoona Symphony orchestra in Central Pennsylvania. He has also lead the Pennsylvania Philharmonic Orchestra, the Lancaster Symphony Orchestra, the Inter Harmony music Festival Symphony and Chamber orchestras in Europe and at the Berkshires in the US. His orchestral solos have been featured in live broadcasts of W.Q.E.D multimedia classical radio station in Pittsburgh, Pennsylvania. Genaro is the Winner of the 2007 Duquesne Symphony Orchestra’s concerto competition, in Pittsburgh, Pennsylvania.. Committed to education, Genaro teaches the love for music and the violin to students at the elementary, middle, high school and college levels. In Partnership with the Bay Atlantic Symphony Orchestra, he imparts string masterclasses to the school districts of Atlantic City and Vineland. Genaro began studying music and the violin in his native country, Venezuela, under the auspice of world famous orchestral music program phenomenon "El Sistema". He holds a Bachelor’s and master’s degree from Duquesne University in Pittsburgh PA, and is finalizing a doctoral degree in violin performance from the West Virginia University. Violinist Nina Vieru has performed on many of the most prominent stages in Romania, playing an original Nicolo Gagliano violin. She was guest soloist with the Galati Philharmonic Orchestra, the Brasov Philharmonic Orchestra, and has twice appeared in concert at the George Enescu Festival in Bucharest. Ms. Vieru has successfully participated in more than 35 national and international violin competitions. In 2011 she won the Temple University Concerto Competition and the LISMA Foundation International Music Competition (New York City). Ms. Vieru was born in Chisinau, Republic of Moldova, to a family of musicians. At the age of seven, she began her study of the violin at the Music High School in Chisinau. Six years later, her family moved to Bucharest, Romania’s capital, where she studied with noted violinist Stefan Gheorghiu. After graduation in 2007, Nina moved to the United States and studied violin with Edouard Schmieder at Temple University. She earned her bachelor’s and master's degrees at Temple, and is currently pursuing her doctor's degree in music there. As a professional freelance violinist in Philadelphia and the surrounding regions, Ruth enjoys the opportunities playing in varied genres of music including classical, musical theatre, and popular music. Recent classical performances include concerts with the Lancaster Symphony, Bay-Atlantic Symphony, Concord Chamber Singers, and the Contemplum Contemporary Composers Ensemble. Ruth can be heard in shows at the Walnut Street Theatre and Media Theatre, and was featured in an onstage string quartet for the American premiere of Love Story, The Musical. She has also performed with a number of popular artists and ensembles including Mannheim Steamroller, The Texas Tenors, Chris Thile, Edgar Meyer, and one of her favorites, Rod Stewart. Ruth plays a “Not A Stradivarius” 2007 as well as a modern electric violin. Originally hailing from the Midwest, Ruth received a Bachelor of Arts degree from the University of Northern Iowa, a Master of Music degree from Temple University and has played in master classes with the Shanghai Quartet, Fauré Quartett, Salzburg Chamber Soloists, Arianna Quartet, Maia Quartet, and the Verdehr Trio. Ruth has served as a guest clinician at the New Jersey Washington Township School District’s American String Teachers’ Association Solo and Ensemble Festival and is currently on the string and chamber music faculty at Temple University Music Prep and the New Jersey School of Music. Natasha Colkett is a freelance violinist based in Philadelphia. She is currently a member of the Pennsylvania Ballet Orchestra, the Bay-Atlantic Symphony, and the Allentown Symphony, and has also performed with the Chamber Orchestra of Philadelphia, the Delaware Symphony, the Pennsylvania Philharmonic, and Prometheus Ensemble. She teaches violin at Settlement Music School and at their outreach program, Music Education Pathways. In the summer, Natasha plays for Central City Opera in Colorado and is a founding member of the Denver-based Boxwood Ensemble. Natasha graduated with her Bachelor’s degree in Music Education and Violin Performance at Ithaca College in 2007 and her Master’s in Violin Performance at the University of Denver in 2010. 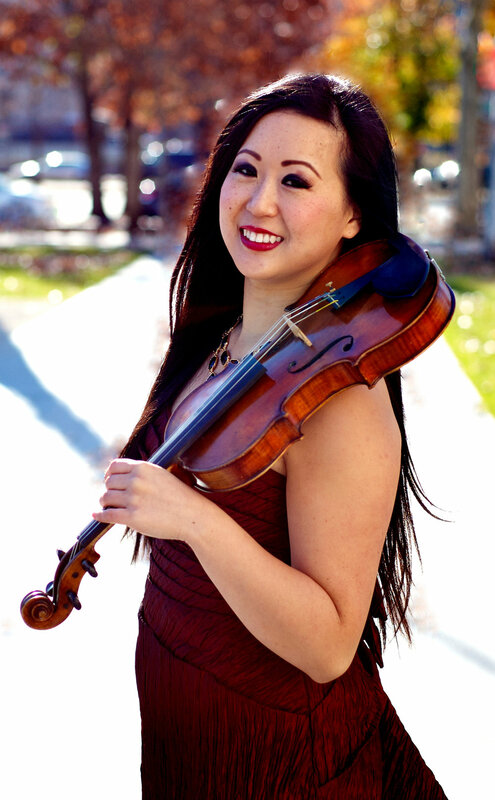 Lily Wu began studying the violin at age of 9. At age 19, she was selected to be a member of Guangzhou Orchestra in China. As a member of that orchestra, she performed all over China and internationally. Lily studied the Suzuki Method after coming to the U.S. She has taught at her violin studio for over 20 years, and has many students in the South Jersey and All-State Orchestras, Philadelphia Youth Orchestra, and Philadelphia Sinfonia, among others. She has played in a number of professional orchestras in the area. Lily continues to study with Hirono Oka, a member of the Philadelphia Orchestra.